The Advocacy NetworkAdvocacy BlogDemographicsChildren at Risk! Parents seldom systematically review their children’s credit reports. They might only look at them when their children attempt to obtain student loans, credit cards or jobs. “4,311 or 10.2 percent of the children in the report had someone else using their Social Security number — 51 times higher than the 0.2 percent rate for adults in the same population. 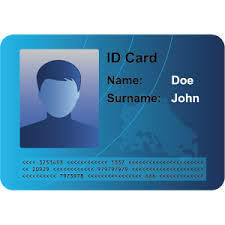 “Child IDs were used to purchase homes and automobiles, open credit card accounts, secure employment and obtain driver’s licenses. “The largest fraud ($725,000) was committed against a 16-year-old girl. Part of the seriousness of the problem can be traced to more parents creating child identification kits that law enforcement agencies use to identify lost, abducted or runaway children. The kits allow parents to document distinguishing characteristics of their children, including physical description, possible biometric information such as palm prints and fingerprints, dental or medical records, DNA samples and SSNs. The kits are great tools, but fraudsters can steal them and use the private PII for fraudulent purposes. And parents should be extremely careful when choosing organizations that offer kits. Stealing the identity of a five month old is basically an incredible threshold to have passed. Meanwhile the normal reactionary bureaucracies, agencies and organizations have done nothing substantial in this oncoming epidemic. In order to fully protect YOU and YOUR children will be completing full due diligence on all organizations that sell identity packages for families and their children. Kindly use us as a resource before releasing the vital information of your children.